After being diagnosed with a chronic disease (lupus) at a very young age, I started thinking about the way chemicals and products affected me. 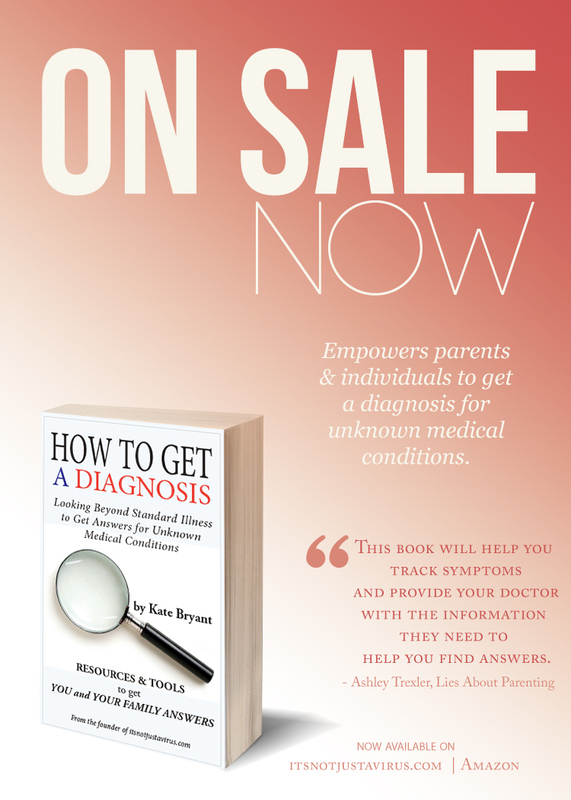 But it became even more of a necessity when we learned our then 18-month old had an autoinflammatory (chronic) disease. He had all types of product reactions and a chronic disease. Have you ever considered how cleaning products and chemicals might be affecting your family’s chronic diseases? 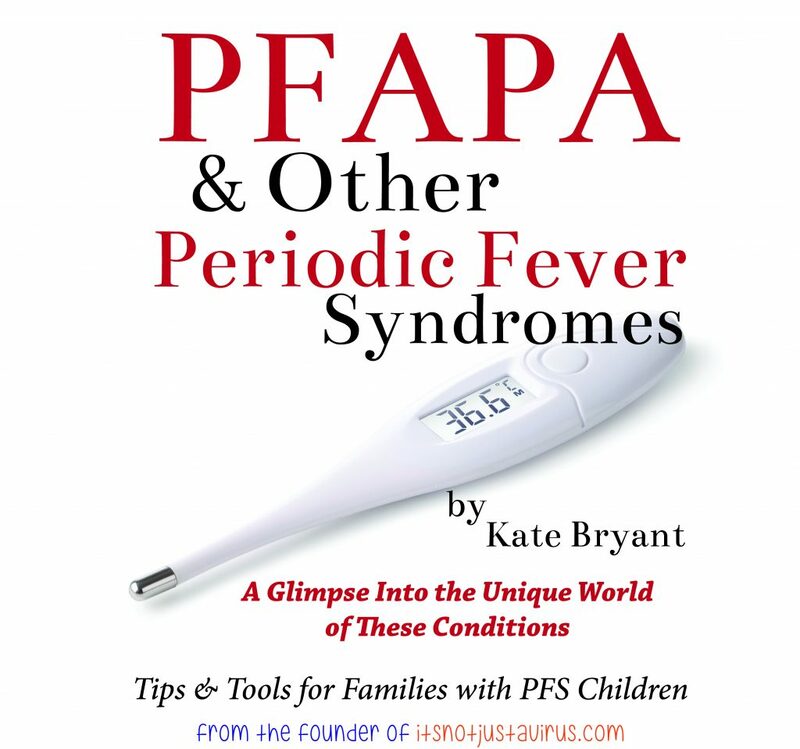 We have written about inflammatory responses to products before. 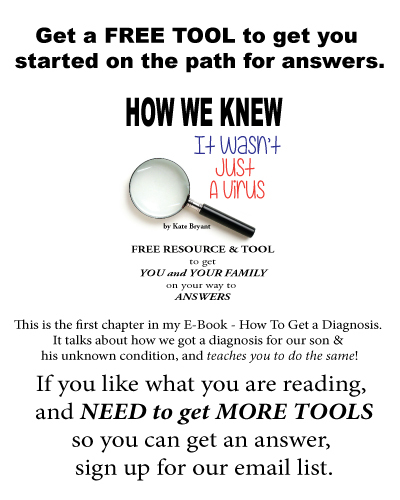 Today I want to share something that can change the whole game in your house for chronic disease sufferers. Not only is this healthier for everyone in your house, but it saves time and money! How can you beat that? Think about what you use when it’s time to clean…all the bottles of spray, the rags, the towels, the detergents, the brushes and more! Wow! Now imagine all you needed was a cloth and some water? You just grab your cloth and dampen it in your sink and clean in a few swipes and then you are done. How much easier, and less stressful, would cleaning be? Not to mention how much less exposure to inflammatory products you and your family will have! This is possible! You can clean, and disinfect with a cloth and water! Yes, for real! This is a place where you prepare your meals, and fill your water jugs and consume items into your body. It should be the place with the fewest chemical exposures, the safest place to avoid inflammation. Kitchen cleaners have harmful chemicals like bleach, ammonia, and phthalates. Although these disinfect, they are inflammation irritators! How can we fix this? The Kitchen Cloth is an amazing tool that helps with this. All you need is this cloth and a little bit of water to clean all of your mess. No more spray on your counter surface where you prepare your meals, and no more spray on your table where you eat! Not only are you avoiding harmful chemicals, but you disinfect the surface without them. Don’t believe me? Let’s take a look. What you see here is a small after-breakfast cleanup. Take a look at my son’s chair (always like this and usually WORSE! ), and our table top. This is just a morning breakfast where he actually stayed on his place mat while eating. I used the damp kitchen cloth – and you can see the after image! It was not streaky and didn’t have to be wiped a second time after it was cleaned the first time. 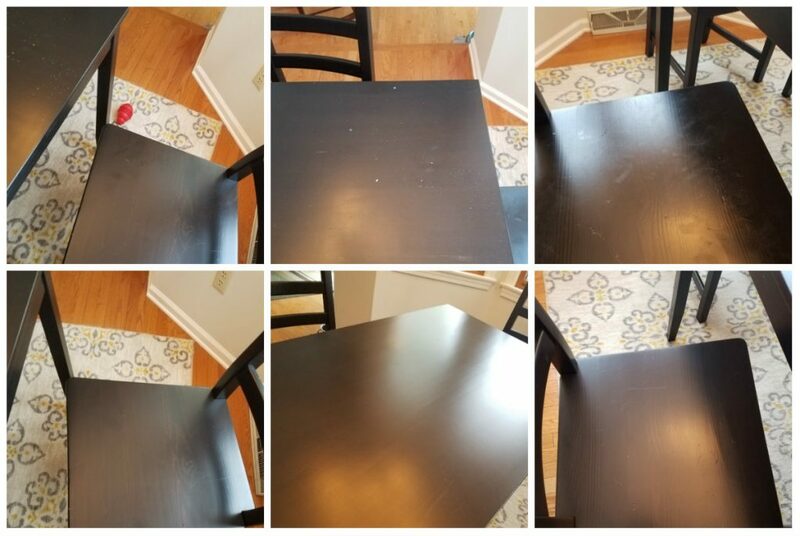 The table was streak-free and dry in less than two minutes. I moved to the counter tops, the sink and then the stove. We inherited a cheap older apartment grade stove in our move (that we have yet to replace) and it always looked old, dirty and streaky, but I can’t believe how it shines now after a swipe of the kitchen cloth (yes the same one – just rinsed!). But what was awesome and amazing beyond all this was my refrigerator. The process for cleaning the interior of my fridge used to consist of: empty all the food out; empty each shelf and glass piece out of the frame; spray them with a homemade cleaner; wash them in the sink with dish soap and a washcloth; then dry them and return them to the refrigerator and reload the fridge. With the Norwex kitchen cloth, I moved the food down a shelf, wiped the shelf with the damp cloth and repeated in the fridge. It was a five-minute process that left my fridge spotless! I mean sparkling! (I did have to remove one shelf that had a milk leak to scrub but that was it!) No spraying near my food, no washing over and over, just a wipe and replace then done! What makes this kitchen cloth (and other Norwex cloths) different than other cloths, and able to disinfect? These cloths (and they offer towels also) are a specialized microfiber that is extra absorbent and lint-free. Not only can it absorb and remove liquid and debris from the countertop, but it fights germs with a BacLock® antibacterial agent in the fibers of the cloth. This is a great idea because the cloth can self-clean while in use (until heavily soiled). It removes the germs from your surface without leaving behind chemicals. It isn’t killing the germs, but removing them. That means you won’t be creating more germs, and super bugs, off your counter tops. With surface spray cleaners you are leaving behind chemicals, and a method for germs to learn and grow stronger if they are not dead. You shouldn’t, and can’t, use cleaning spray or regular detergents on your Norwex cloths (check out each item’s care description on the site.) Using cleaning spray or detergents will ruin the awesome microfiber, BacLock® cleaning power. The point of these cloths, and this cleaning system, is you don’t need anything but water. If you should need additional cleansers, Norwex offers ideas of safe cleaners and detergents to use to clean their towels. Check out their Dishwashing Liquid. How long does it take to clean a few bathrooms in a house? My process I used for three bathrooms took me 45 minutes (or longer). If you have a similar process and use traditional cleaners you are also enclosed in this space with your chemicals the whole time. I had a bucket, wipes and floors mops, with a homemade spray cleaner, and my toilet cleaning items. I had to start with spraying down all surfaces and letting them sit. Then I would sweep the floor and empty trash and remove rugs and towels from the room. Then I would start on the sink surface and move through the room until I finished with the floor (including a full tub, and a standing shower stall). 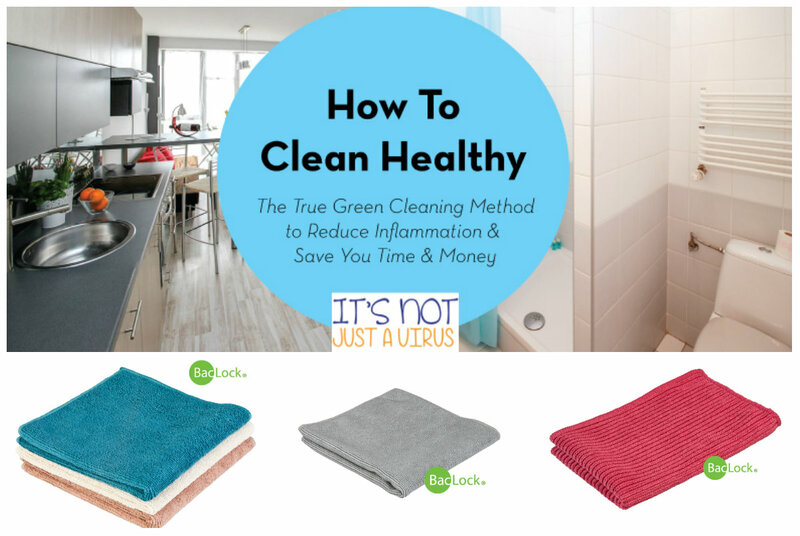 With the Envirocloth I was able to clean all the bathroom surfaces and shower in minutes. I started on the sink (which had just been cleaned two days before by standard methods). 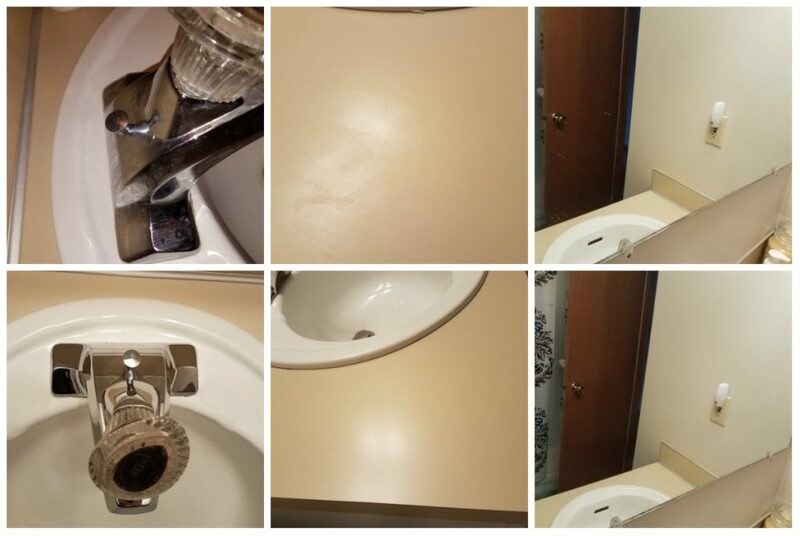 Take a look at the silver on the sink, the streaking on the counter, and the grime on the mirror in the before photos! Now look at that shine and streak free counter and mirror after! If you need even more scrubbing power in your bathroom, Norwex also has a bathroom mitt. This is great for tub and tile areas in the shower (and will be my next purchase)! If you are looking for additional items like a descaler, or a new toilet wand system, or a better and safer toilet bowl cleaner, they offer biodegradable, safe options for purchase. Not only did the kitchen cloth and the envirocloth clean two of the toughest rooms in my home, but they offer an awesome body cleansing cloth to help you get clean without chemicals! No need for strong makeup removers, or facial cleaners. 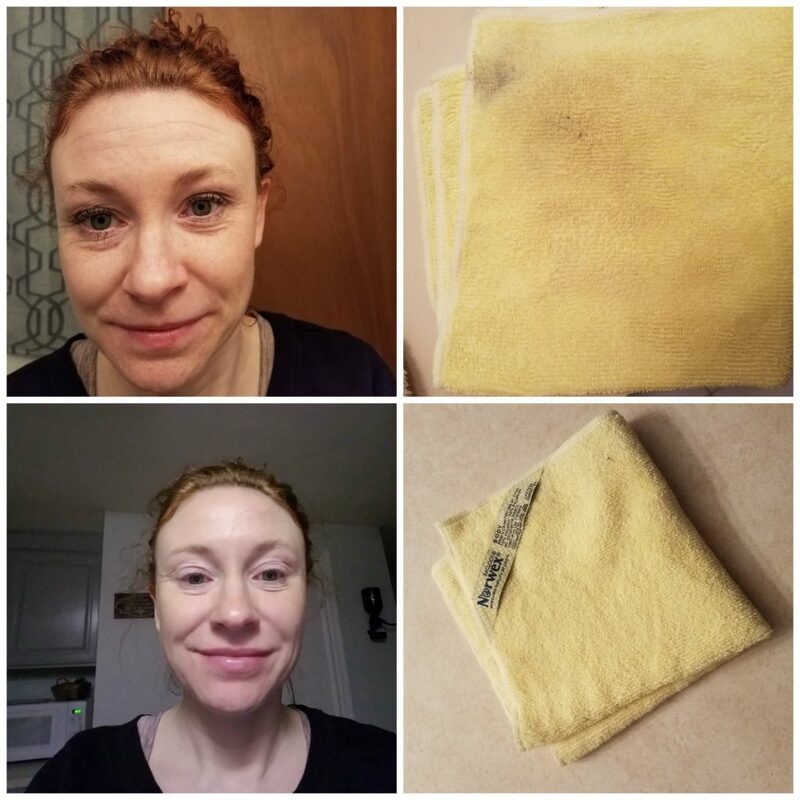 I used the body cloth to clean up (after I had used a makeup remover for my eye makeup) and I couldn’t believe what had come off my face! Want to ditch your eye makeup remover also? Don’t worry – Norwex has you covered with their makeup remover cloth. I hope to try these in the near future! Don’t forget many skin care products, soaps, and lotions increase your body’s inflammatory response. I have written about the types of allergies and skin conditions that can occur with standard soaps. If you can avoid them then why not? You might also have a little one at home (we sure did!) that couldn’t tolerate any soaps. What can Norwex do for them? The baby body pack! Don’t worry about reactions to soap anymore! You might be thinking about the cost of the cloths. It’s totally normal. How many of you have been buying (over and over again) cheap dollar store rags that have a one-time use before laundering? Then you have to launder until they just are too worn or smell?! Ugh. Not to mention what are you spending on the cost of spray cleaners and disinfectants? I make my own cleansers and cleaning agents cheaply. However, not having to buy ingredients or make these items saves me time and money! Imagine your savings! Norwex has estimated their cleaning cloths and systems can save your family as much as $600 a year in cleaning products and supplies. Not only can it save you money, but the products are guaranteed for two years! Some people say they have been able to maintain the product for up to five years! If you are dreaming about less work cleaning with a beautiful, clean, germ-free surface these products might be for you. Norwex also offers consultant working opportunities. Direct sales with Norwex can earn you product discounts (and free product) up to 35% and commissions at the same rate. The great thing with Norwex is that your personal purchases count toward your total monthly sales! To maintain your discount and perks of being a consultant you need to maintain a three month sales average of $250. If you are interested in making some money on your own time with these products check it out here. Next week find out what happened when we tested out the window cloth, the dust mitt and the laundry detergent! These are great ways to reduce allergens on skin, as well as in the air and window surfaces in your house without chemicals! What products do you love? Share with us.